“I was fishing on the south end of the lake throwing a Gambler black/blue swim jig with a Gambler burner craw on the back. I lost five or six fish that would’ve pushed me over the 30-pound mark. The fish seemed to be staging to spawn and they were aggressive so I was burning the swim jig as fast as I could,” Wieteha said. 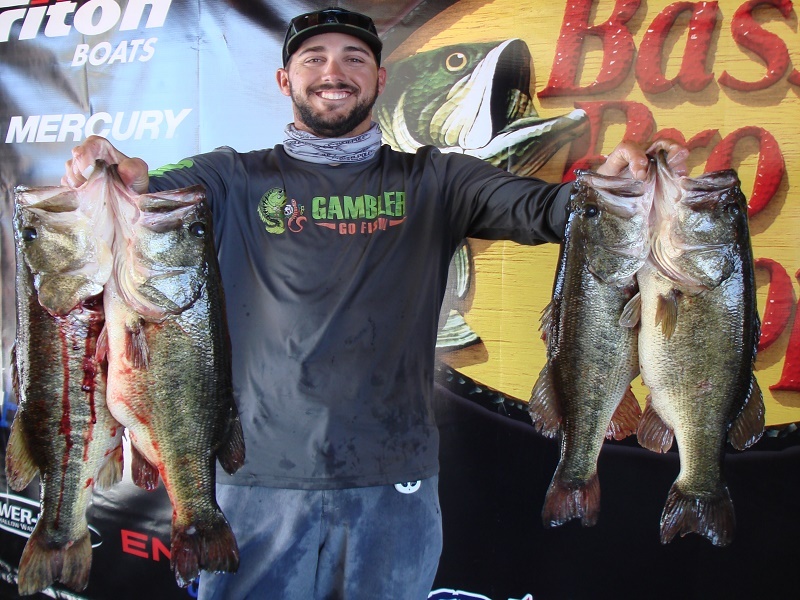 Finishing second for the boaters by a slim 0.12-pound margin, Brandon Medlock of Lake Placid, FL landed a five-bass tournament limit going 29.28-pounds including a big bass that weighed 9.48-pounds. “I caught my fish flipping a jig today. I fished about twelve places. I was fishing the west side of the shoal and worked my way back up the lake. I lost my first bite this morning and it was an 8-pounder and I lost a couple 6-pounders late in the day. I caught that big bass around 12:30 pm,” Medlock said. Dave Sheffield of Davie, FL took third for the boaters with five bass going 28.58-pounds. “I caught my fish today on the south end of the lake also. I was pitching to the reeds with a lightweight setup. It was a phenomenal day of fishing,” Sheffield said. Finishing fourth, Curtis Lewis of West Palm Beach, FL landed a five-bass limit for 27.80-pounds. William Troyer of Sarasota, FL rounded out the top five boaters with five bass at 25.29-pounds. In the Co-Angler Division, Benjamin Layner of St. Petersburg, FL won with threebass going 20.38-pounds that included a 7.47-pound kicker. He pocketed a check for $1850 for his win. “This was my first-time fishing Lake Okeechobee. I had a great boater, Chris Shirling, he put me on the fish today. I was throwing a black/blue swim jig with a Bitter’s bait Jitter-craw trailer. I was swimming it on top of the water burning it fast and they were nailing it. I had a great time and I look forward to future events,” Layner said. Taking second for the co-anglers, Richard “Jamey” Nash of Chiefland, FL brought in a three-bass division limit weighing 16.79-pounds. “I caught my fish early on a moving bait. I was culling by 8:00 am and had a 5-pounder in the boat. But as the sun got up, the bite seemed to shut off for me. After that, I began dead-sticking a Bitter’s senko style bait the rest of the day and that led to bigger and better fish,” Nash said. Tomas Gomez of Kissimmee, FL placed third among the co-anglers with three bass going 15.52-pounds. “I started off fishing a skinny dipper but that didn’t work for me so changed up to my go-to bait and caught fish slow rolling a watermelon-red Bitter’s speed worm over hydrilla. I had my limit by limit by 10:30 am and then I caught my bigger fish after 1:00 pm,” Gomez said. The co-angler big bass award went to Semori Novembre of Belle Glade, FL brought to the scales a big bass that weighed 8.46-pounds. In fourth place among the co-anglers, Lonny Mead of Orlando, FL brought in three bass for 15.43-pounds. 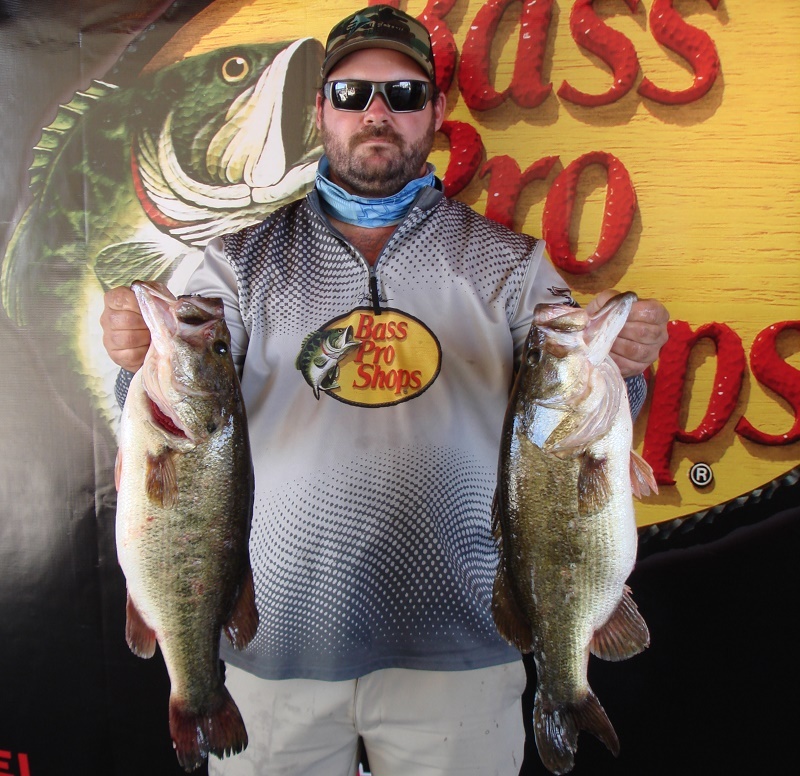 Brian Reeves of Sebring, FL finished in fifth place with three bass for 15.22-pounds. Slated for March 23rd, the next tournament will be held on Lake Okeechobee out of Roland Martin Marina and Resort in Clewiston, FL. At the end of the season, the best anglers from across the nation advance the 2020 Ray Scott Championship to be held at Lake Hartwell in April 2020.